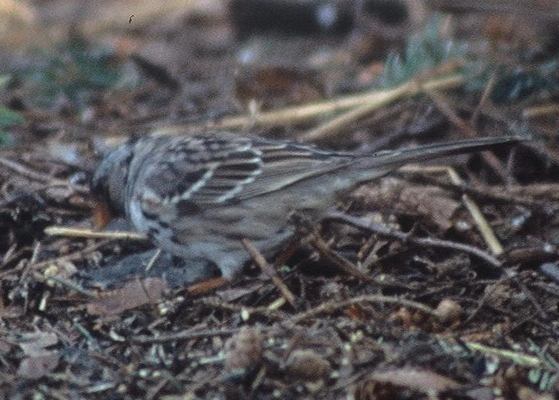 Harris’s Sparrow — Mount Union, Huntingdon County; April 13, 1996. Photo by Michael Fialkovich. This bird was present at a feeding station from January to May 2nd.